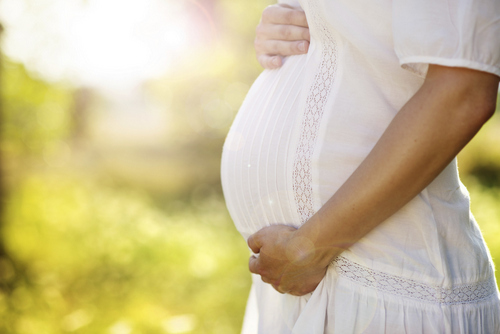 What Is Pregnancy Gingivitis And How Can You Tell If You Have It? During pregnancy, women undergo a vast array of changes, one of the most significant being in their hormone levels, which are usually relatively obvious to loved ones around them. What most people don't know though, is that these hormone levels also affect the pregnant woman's mouth, increasing the risk of developing problems with their oral health including gingivitis and periodontitis. Both of which are gum diseases that result in the inflammation of the gum surrounding the tooth or teeth that are affected. This significant increase in hormone levels is so significant that it results in some 40 percent of all pregnant women developing gingivitis at some point during the duration of their pregnancy. Experts say that it is the increased level of progesterone that makes for an ideal environment for gingivitis causing bacteria to grow. It results as a hyper-response or reaction to plaque on the teeth causing over-exaggerated inflammation and gum sensitivity. Beware: if you are already a sufferer of gum disease in any form, you can expect that pregnancy WILL make it worse. Sorry to be the bearer of bad news. It is most common for the signs and symptoms associated with pregnancy gingivitis to show up at or around the eighth month of pregnancy. If you notice changes in your gums appearance, including red, swollen gums that bleed moderately when agitated by brushing or flossing, to even sever bleeding or gum swelling you may be experiencing pregnancy gingivitis. Things that can be done in an effort to prevent the onset of pregnancy gingivitis include being more diligent than ever of practicing the proper oral hygiene as brushing twice a day, flossing once, using an antimicrobial mouth wash and routine dental cleanings have NEVER been more important! Please contact us if you have any question about pregnancy gingivitis.